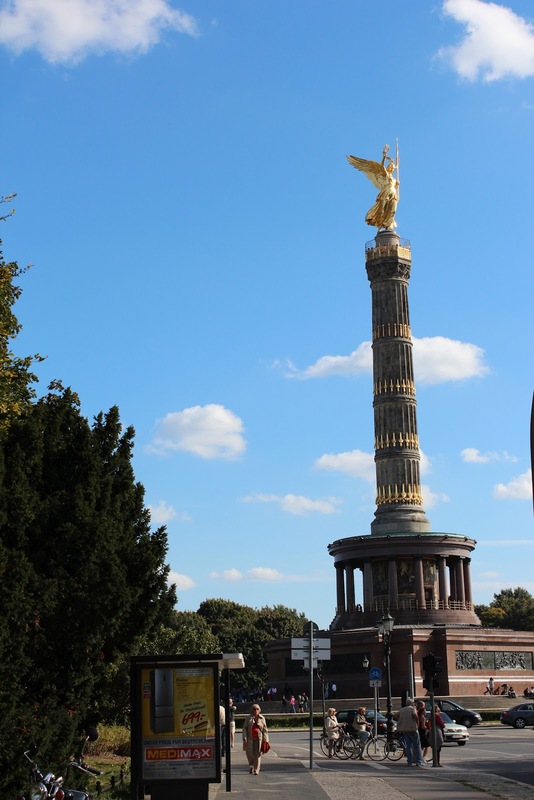 Today is German Unity Day, a national holiday here commemorating the anniversary of the 1990 German reunification. It's celebrated with a day off of work, a festival at Brandenburger Tor, and generally a lot of drinking. Lennon had the day off from Kita and we headed to the festival to see what it had on offer. Our good friends, the Spengler Family, would also be there. Seems they attend every year and hang out in the same grassy cove behind the Belgian beer stand. On the train heading to the Brandenburger Tor, an English speaking European man of indiscernible accent was espousing to his Dutch companion the virtues of American holidays, citing Thanksgiving as the most sincere. He was drawing comparison between the unadulterated, authentic way holidays are celebrated in the United States, unlike Germany, where a day celebrating German Unification simply means a day off. Interesting how green another’s grass seems, no? I guess he wasn’t in town for President’s Day. 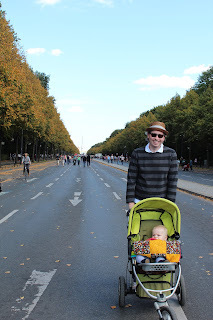 The train landed us near Tiergarten Park, which we walked through on our way to the festival. Just past the Victory Column, the streets were cordoned off toward Brandenburger Tor. Even with the extra room to walk, it still felt like too many people in one place. We pushed our way through the crowds, past the ferris wheel, through the rows of stalls selling poly-blend clothing and dream-catchers, to finally find ourselves in the grassy cove behind the Belgian beer stand. After some beverages, garlic bread with tomatoes and green onions, and home made potato chips, Lennon let us know it was time for home. It was a big day for Germany.